Colombia is our home away from home in many respects, and we travel there so often it almost feels more like a regular commute than a big-deal coffee trip these days. Between sourcing trips, mid- and post-harvest visits to producers, and Best Cup competitions (like the one that ended on Saturday, 29 September), as well as various other research excursions and even holidays, there are several times of year when it’s safe to assume that somebody’s in Colombia if they’re not at their desk. This year—maybe more than ever—it’s been especially important for us to spend time and share physical space with the producers with whom we partner, and our green-coffee buyers have spent many weeks traveling between Cauca, Huila, Nariño, and Tolima, the primary Colombian regions in which we work. Unexpected weather and an international coffee futures market dipping dangerously low has threatened to create a crisis of confidence for coffee producers throughout the country, and at times like this, we realize that farmers truly need a friend. Through nurturing longstanding relationships and making new connections at origin, developing products to help farmers maximize their annual production, and simply continuing to show up and commit to long-term investment in Colombia’s cafeteros for better and worse, Cafe Imports Europe genuinely wants to be one of those friends indeed. Here is a harvest, relationship, and cupping report from our most recent commute—er, trip. “In Huila, we went to San Agustín to see the Los Naranjos Association. I went there when I was like 16, and I’m 25 now and it’s the same town,” says coffee traveller Sam Miller, who has been part of the Cafe Imports family since day one—literally, as he’s the son of company founder and head of Colombia sourcing, Andrew Miller. 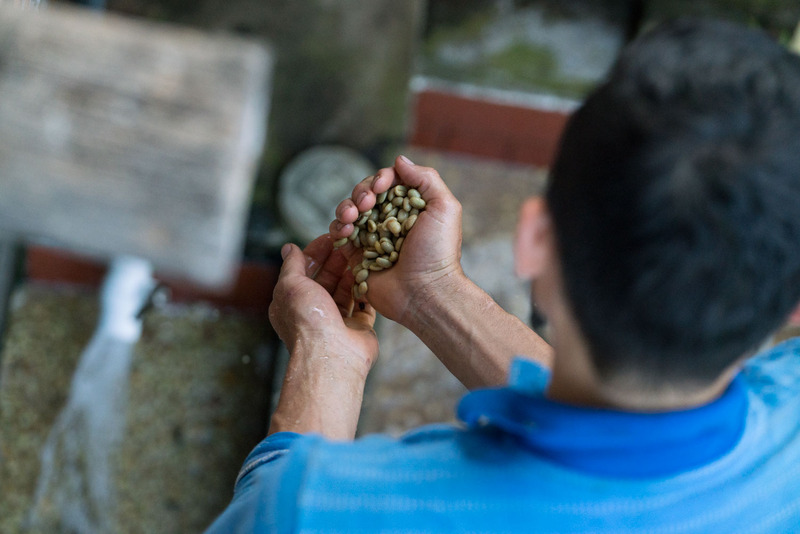 “I was concerned at first [upon arriving in San Agustín] because coffee’s evolving so much at origin—and in Colombia specifically—but Los Naranjos have a lot of fire under them. 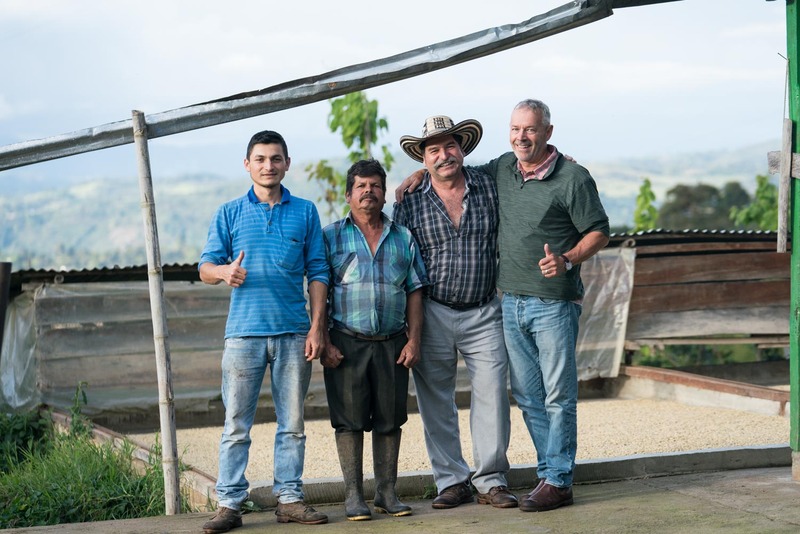 They really want to adapt and change with the harvesting and production in Colombia,” Sam continues, flipping through copious notes he jotted down during conversations and farm site tours. As he mentioned, Los Naranjos is a small and “classic” smallholders association of just about 100 producers in the Andes highlands of southwestern Colombia, following tried-and-true methods, growing good cultivars, and banding together to amass lots of coffee that are exquisite representations of Huila’s profile, winning Cup of Excellence competitions and submitting some of the finest microlot samples we’ve tasted from this beloved coffee-growing country. Like many growers around the world, while the producer members of Los Naranjos are committed to quality and passionate about coffee, they have also tended to be slow and steady to change: Coffee is a huge risk, and following one-off fads or short-lived trends can be dangerous and even deadly to a farm and the family that runs it. 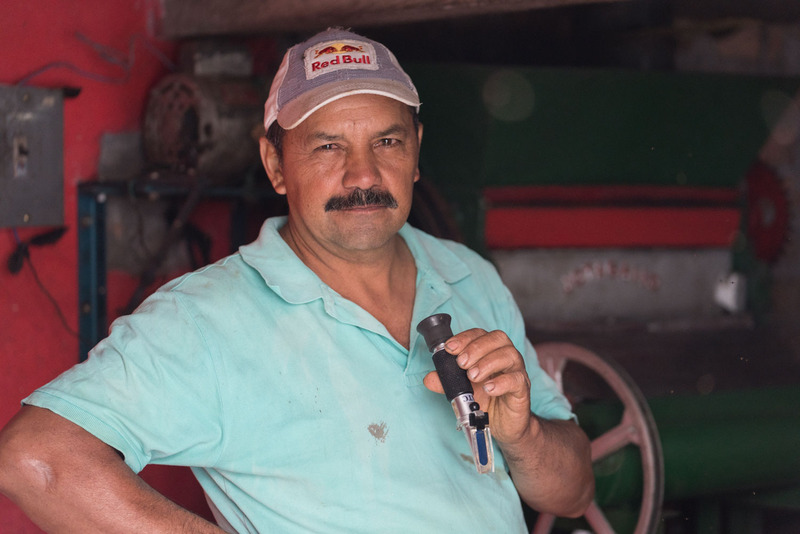 However, Sam was pleasantly surprised on this visit to see that Los Naranjos—including superstar Arnulfo Leguizamo’s family operation—have recently begun using Brix meters as a guide for their fermentation processes specifically. Brix, which is read in units of °Bx, is an estimated measurement of sugar content in an aqueous solution, which means that °Bx should get lower throughout fermentation, as microorganisms metabolize sugar. It is also occasionally used as a tool to aid in harvesting, operating under the theory that perfectly ripe coffee cherry should have a target °Bx. “The association bought Brix meters in a bulk quantity so they could all adapt with it,” Sam says. The move was suggested by Ana Patrice, the lead cupper for our San Agustín export partner Fairfield Trading. Her experience with cupping in other regions for Fairfield seemed to indicate that quality was higher in places where producers utilized Brix, and that the trend has been growing throughout Colombia. Fermentation in Colombia is generally done overnight, in tanks with the coffee exposed to the air and whatever microbial population is present to do the work of metabolizing and softening the mucilage on the coffee seeds. 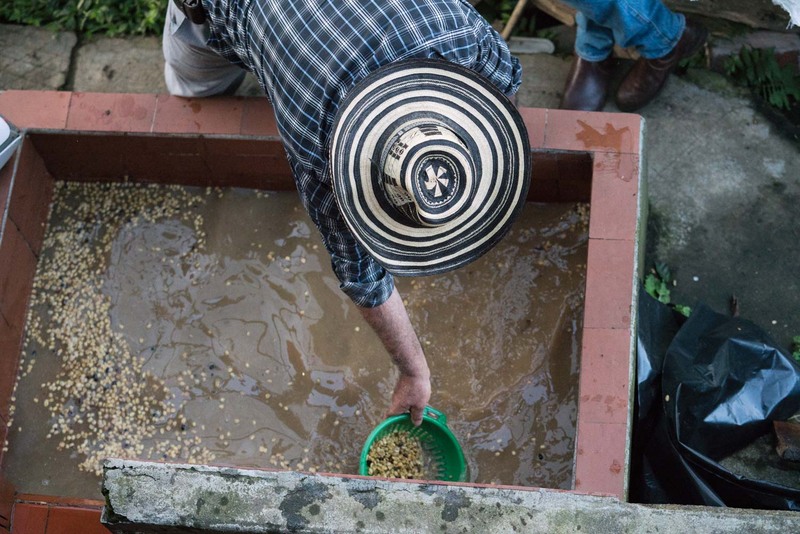 On the high-elevation farms in the Andes, however, cooler overnight temperatures cause the bacteria and yeast to move slowly, which—as Los Naranjos discovered from following Brix readings rather than simply watching the clock—means that holding coffee in the tanks longer can yield better, more efficient results. 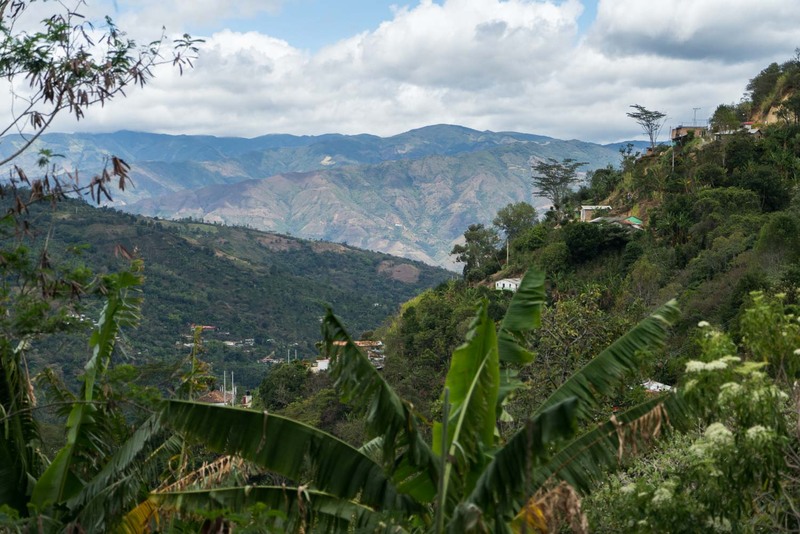 That edge is going to be especially necessary this year, as the crop has not gone quite as planned or expected—which unfortunately is a storyline that’s been repeated all too often in Colombia lately, as well as in dozens of other coffee-growing countries. 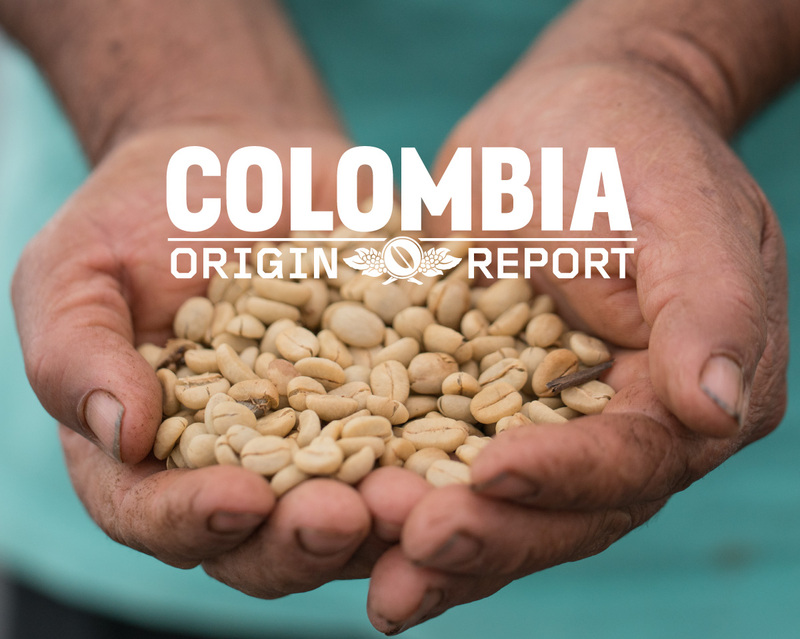 Historically, thanks to the geographical location and weather patterns expected in Colombia, our partners have experienced two distinct harvests throughout the year: A larger main crop and a smaller fly crop, or mitaca. Huila’s main crop is typically from November to January, with the biggest harvests and usually the best-quality lots. Cauca and Nariño are on a flipped schedule: Main crop in those departments tends to fall between May to July, with the fly crop in November to January. “The mitaca has been super slow, specifically in San Agustín,” Sam reports. Speaking of the future of coffee, and specifically in Colombia, Sam, Andrew, and Luis’s next stop on this visit was the new-to-us coffee source department of Nariño, the southwestern neighbor to Cauca, and the growing region responsible for some of the most show-stopping lots we’ve tasted from Colombia in a while. Linking up with Jairo Ruiz from our primary export partner in Colombia, Banexport, Sam and Andrew headed out on a long and winding road to visit a small town and municipality in the Nariño department, nearly five hours’ drive from the departmental capital city of Pasto, where Banexport sponsored a small “discovery” cupping event. 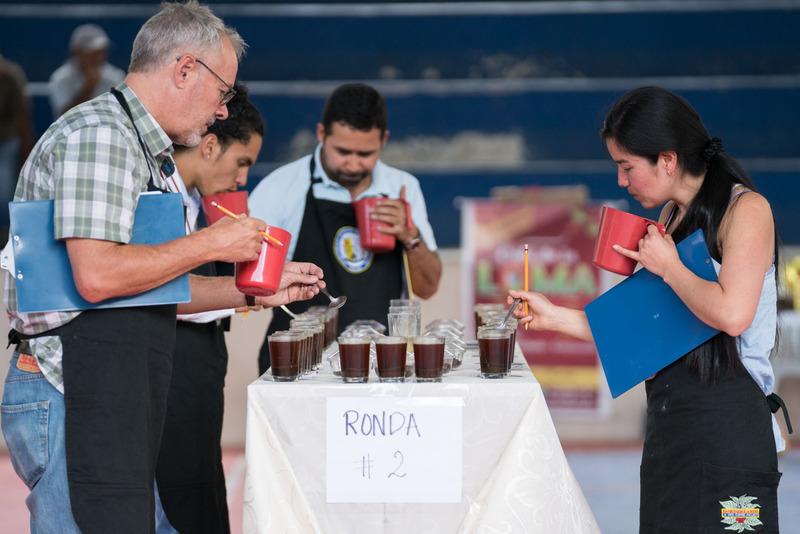 Coffee producers in the small township had been primarily selling their lots to the commercial and local markets, but samples from smallholders comprised a cupping of 32 coffees in small stadium. “There were all these people in the stands watching us!” Sam laughs nervously. “It was pretty nerve-wracking.” Cafe Imports and Banexport, floating on excitement for a new microregion and community partner in Nariño, as well as knocked flat by the quality in the cups, collaborated on the spot to buy the top five–cupping coffees, which will hopefully result in a development relationship in the area. Andrew split from the group after Samaniego to head home, but Luis and Sam continued on to visit a group with whom we are just beginning a very promising relationship: Fundación Agraria y Ambiental Para el Desarrollo Sostentible (FUDAM), a 300-member association of organic-certified (and Rainforest Alliance–certified) growers that was founded in the year 2000 by just seven producers, who shared a vision of sustainable agriculture as well as environmental protection and development. The day after meeting in the organization’s office, Sam and Luis visited member farms, including one temporarily being run by two sisters while their father recovers from a broken leg. 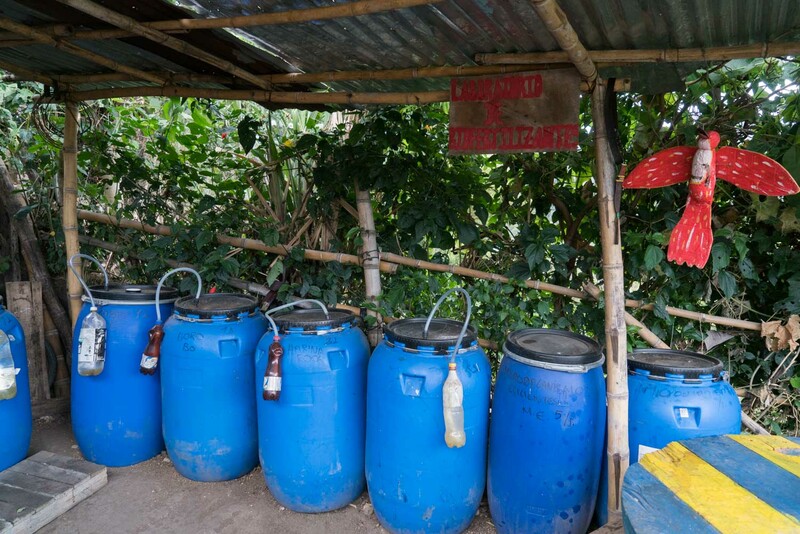 “They showed us around the farm and they had all of these blue barrels with different organic fertilizers and inputs in them: calcium, iron, potassium, all of these different brews going on. 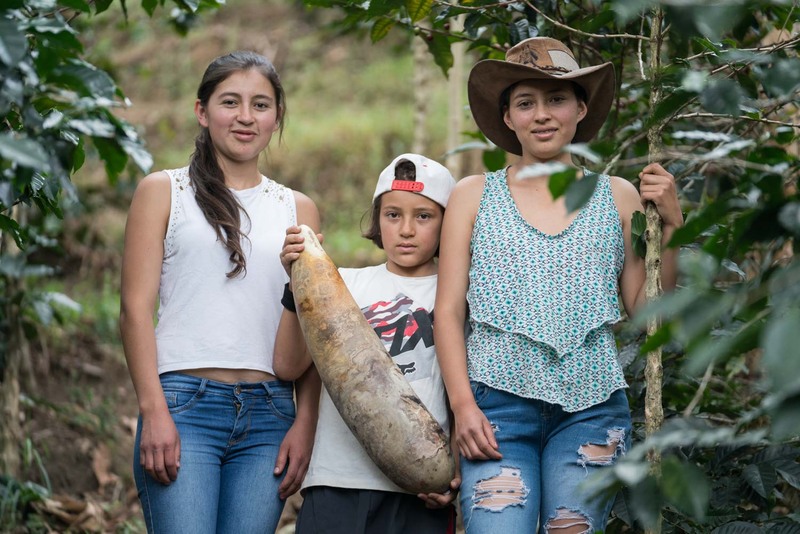 We visited the nurseries and on the farm they had avocado trees and pineapple, and bean plants for nitrogen fixing,” Sam says, adding that he is optimistic about working with such a well-established and grounded growers organization. FUDAM also has a subgroup of women producers, and Sam and Luis discussed potential participation in Cafe Imports’ Women Coffee Producers Program. 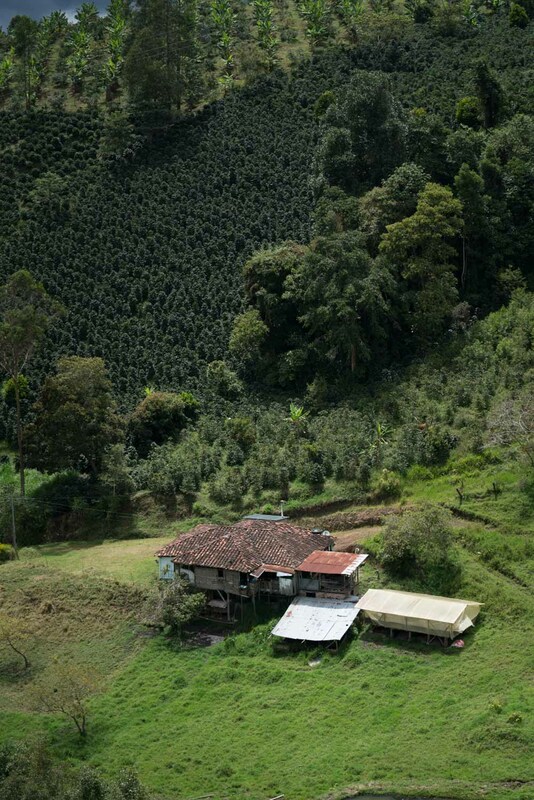 While the organization pursues Fair Trade certification, we will be happy to offer its strictly organic-certified lots in the U.S. and Europe in a few months: Look for these coffees with their sparkling notes of rich tropical fruit, tamarind, apple, red grape, caramel, and sugar-cane juice—exactly the flavours that got us smitten with Nariño in the first place. While no one can truly say with any authority what the future of coffee is, we’ve long suspected that it will start in Colombia, and we can’t wait to taste what technology, adaptation, market access, and passion will do for the offerings from one of our very favourite places on earth.